Embarking on your first visit to Aston Homes’ luxurious display locations? Our team can’t wait to welcome you! 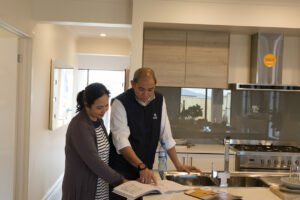 We understand that visiting a display home for the first time is an exciting occasion for you and your family, which is why our friendly team want to ensure that you have the most informative, insightful and enjoyable experience possible. Whether you’re coming to us at the very beginning of your home building journey, or you’re in the final stages of making the big decisions on fittings and design – it pays to be prepared for your visit. To help you along, our Sales Manager Ben Gilbert has outlined what you can expect from your Aston Homes visit in today’s blog! 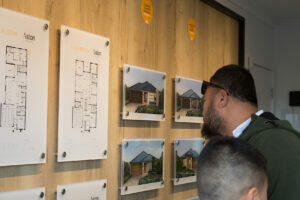 We aim to make every display home visit a personalised experience for each potential client that walks through our door. I enjoy welcoming them, making them feel at ease and getting to know more about their reason for visiting. We’ll determine what attributes they want their home to have. We also like to determine the location they’re considering building in, as we build across the North/West corridor of Melbourne. We may ask them what their budget entails and whether they have already purchased a block or are considering a house and land package. If they’re after house only, we’ll offer them designs to suit their block – and for house and land packages, we’ll highlight those that are in line with their budget. 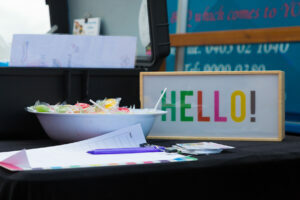 In true Aston Homes style – the kids are welcome too! We treat the little ones to a carpeted play area with a blackboard, colouring books and a selection of great toys. They’re even given an Aston Homes yo-yo and a balloon to take home with them! Kids love hanging out! Often, customers are quite happy to explore our display homes independently but some prefer a VIP tour with one of our New Home Consultants. Before they start their tour, we will give them some materials to guide them and outline what features they can expect to find in their new home. Clients are usually very surprised and delighted to find our display homes are presented as they will find their new home – not upgraded or presented for ‘just for show’ – it’s our standard! Of course, there are a number of alternative upgrades we offer, such as higher ceilings, upgraded appliances and and thicker stone benchtops (just to name a few). Clients requiring a home built on their own block or are wanting to discuss the possibility of buying a House & Land package can sit with one of our New Home Consultants or to make an appointment for a time that suits. 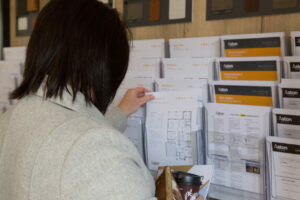 The New Home Consultant will help them confirm which floor plans will be most suitable for their land. We will then take down some details! When saying goodbye, we give clients our contact details and reinforce that we are very happy to help them on the phone, by email or in person. We say goodbye but hope they have found their dream design! If we haven’t heard anything back from our clients, Rob will give them a courtesy call. I like to send a courtesy email thanking clients for visiting, and checking whether clients require any further assistance. 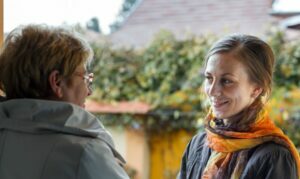 This follow up process is important, as selecting a home is a momentous step for many families. Beginning your Aston Homes build! Let’s get started! The Aston Homes team want you to feel as though we’re #BringingYouHome every time you visit our display homes. Our doors are open from 11AM to 5PM daily at both of our locations. 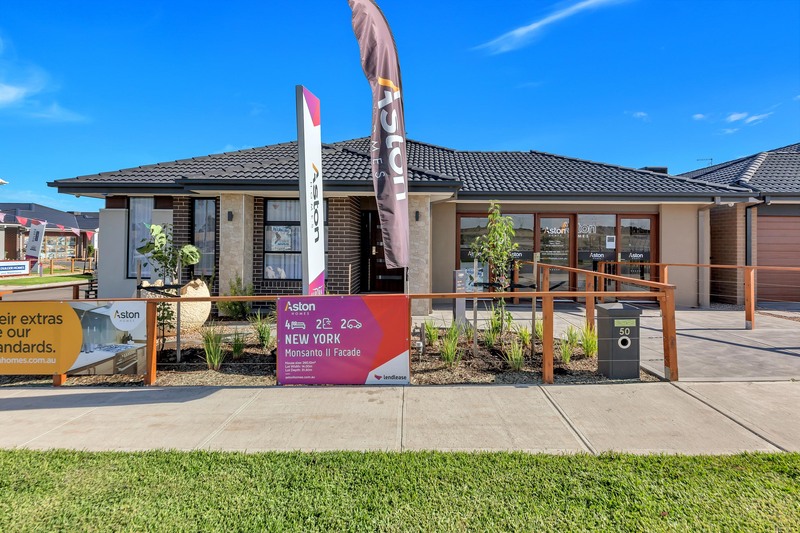 For more information about visiting our display homes, please contact our sales team, or check out our facades and floorplans here!